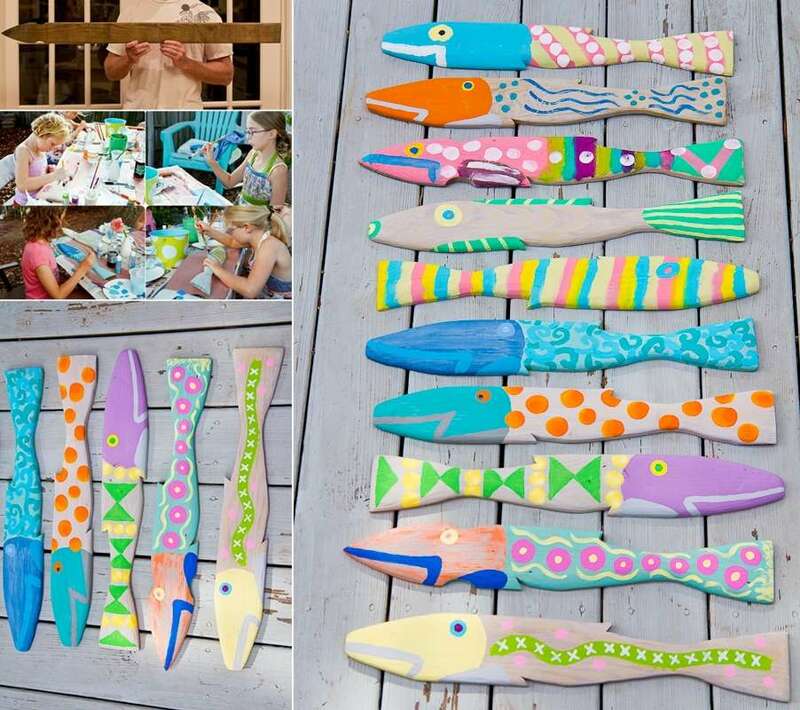 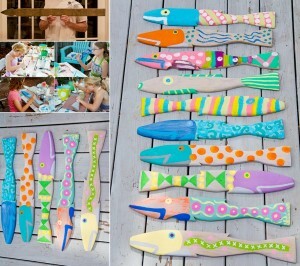 Kim at What am I Going to be When I Grow Up with the help of her friends painted slabs of an old picket fence into these lovely fish in exciting colors and patterns. You can also paint a slab or two if you can get them at some thrift store and put one or more fish on your living room table. 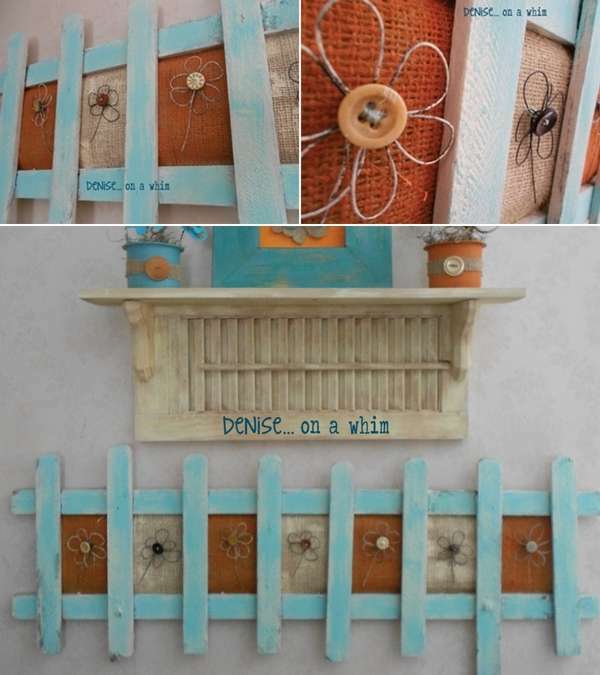 Denise Stain at Denise on a Whim re-imagined a piece of picket fence into a wall decor. 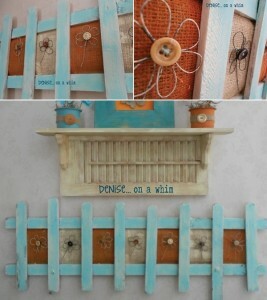 She added burlap to the fence and embellished it with wire and button flowers that accent the distressed blue look of the fence frame. 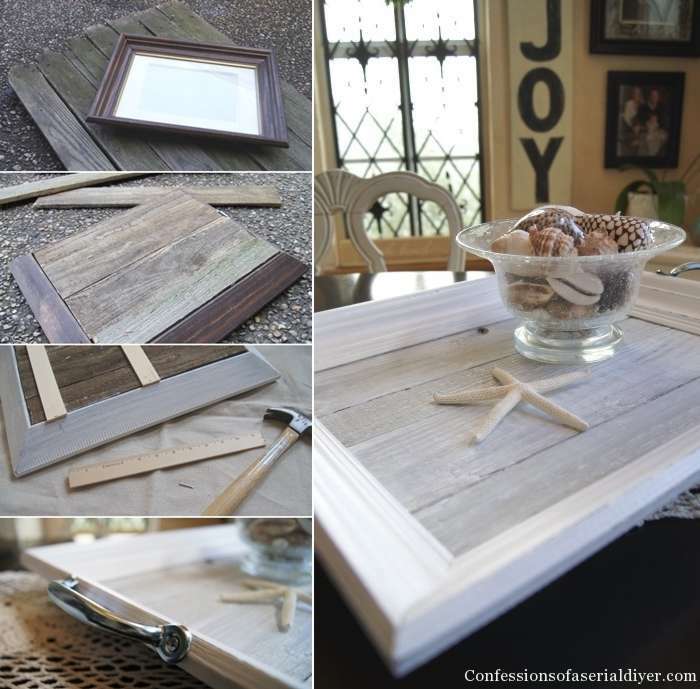 Christy at Confessions of a Serial Do-It-Yourselfer transformed an old $1 thrift store frame after combining it with a picket fence to create this wonderful tray that can give anyone an itch to try this project themselves too. Kim at Maiden D’SHADE rethinked a picket fence, added hooks to it and now it serves many functions. During holidays it functions as a stocking hanger and else than that it is a great organizer for bags, hats and other accessories. Craft Pond via Flickr shared a great way to simply mount a portion of a salvaged picket fence on a wall and it is ready to store, organize and display your scarves. 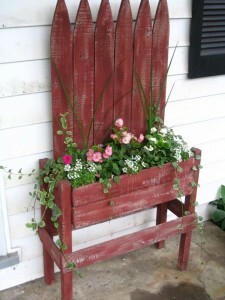 Great, isn’t it? 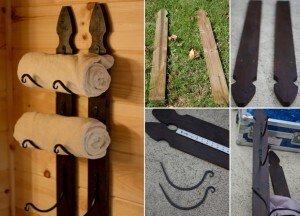 The Old Park Homestead has a great idea to let an old fence live a second life in the same scenario where it lived its first life that is a garden. 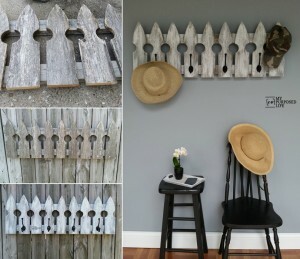 This fence must be so glad. 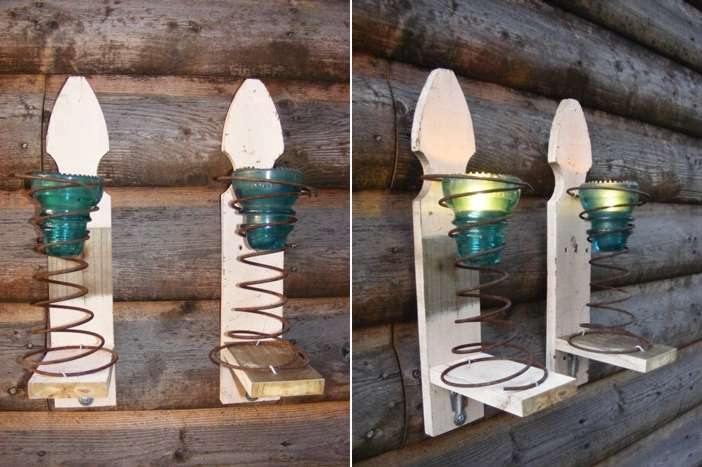 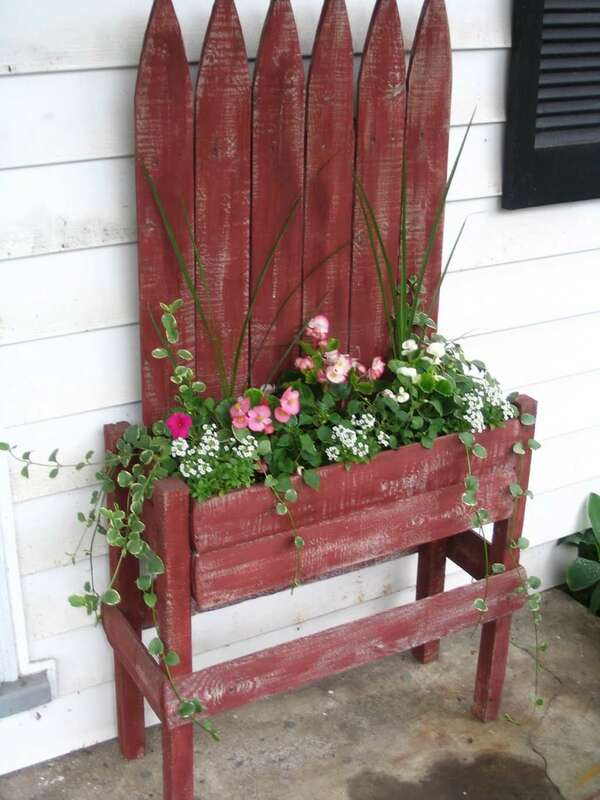 Samantha at Pots and Tots added hooks to two pieces of an old picket fence. 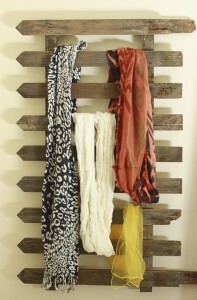 Fixed them on a wall and it became a wonderful towel storage. 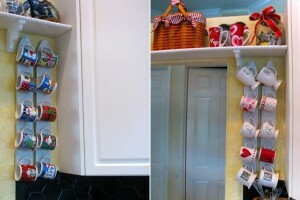 So, this project is a great example of a simple yet a clever idea. 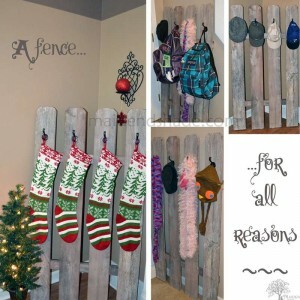 Gail at My Repurposed Life had few pieces of picket fence with her so she made an ingenious use of those and created a coat rack.